Michael Cox was UAB’s 10,000th kidney transplant recipient, receiving both a kidney and liver from a deceased donor the day before Thanksgiving.Just a couple of days before Thanksgiving, Amy Cox said her husband, Michael, asked her what is a fairly common question from a spouse this time of year — what would you like for Christmas? 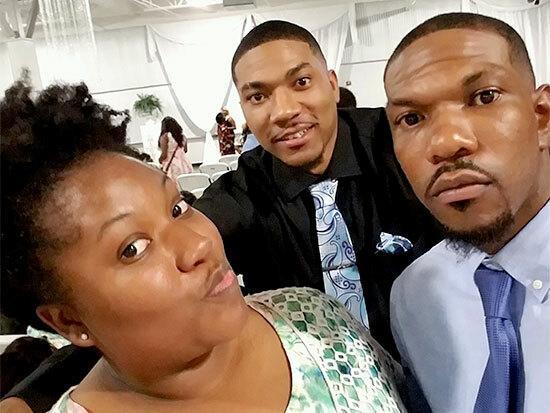 Just this past Wednesday, Barbara Adams sat in UAB Hospital waiting to hear that her two sons — 31-year-old Tony and 26-year-old Daniel — were both out of surgery and doing well. Michael Cox was 8 years old when the University of Alabama at Birmingham performed its first lifesaving kidney transplant in 1968. It would be 18 more years before Tony Adams was born, and 23 more years before Daniel Adams was born. 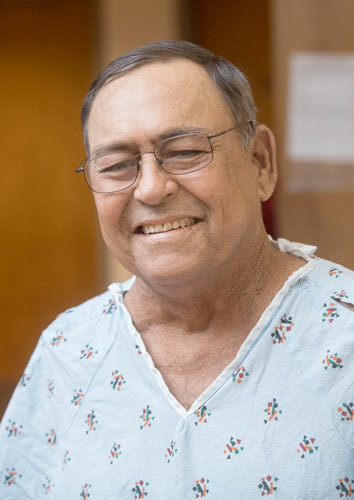 But here at UAB Hospital, just one week apart, Michael Cox became the UAB Division of Transplantation’s 10,000th patient to receive a kidney transplant thanks to the generosity of a deceased donor; and Tony Adams became kidney transplant recipient No. 10,001, with his gift coming from a living donor — his brother, Daniel. 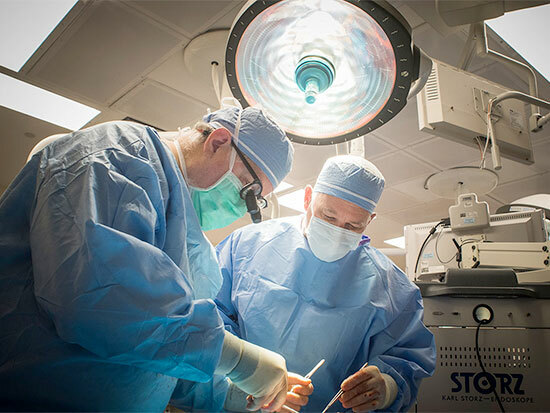 The milestone surgeries come as the Department of Surgery in UAB’s School of Medicine nears the end of its 49th year of performing transplants. The transplants make UAB one of only three U.S. transplant programs to cross the 10,000-kidney transplant mark. And since 1988, the first year the United Network for Organ Sharing began distributing organs nationally through the Organ Procurement and Transplantation Network, UAB has performed 7,823 kidney transplants — more than any transplant center in the nation in that timeframe. Daniel Adams has been familiar with UAB for almost his whole life. His father, Mark, currently works at the university, and mother, Barbara, has worked here in the past, too. Like his father, Daniel also is a current UAB employee. Daniel was able to use UAB’s newly adopted paid-leave benefit for employees to donate to his brother, Tony. Arnold G. Diethelm, M.D., was recruited to UAB to start a transplant program in Alabama in 1967 from Nobel Laureate Joseph E. Murray’s laboratory and program at the Peter Bent Brigham Hospital in Boston, where the first successful kidney transplant was performed in 1954. Surgeons performed the first four kidney transplants at UAB Hospital in 1968. The kidney program now averages almost 300 transplants per year, and its four primary kidney transplant surgeons — Mark Deierhoi, Michael Hanaway, Jayme Locke and Carlton Young — have combined to perform 3,963 transplants in their time at UAB, including more than 2,200 by Deierhoi in 31 years with the division. UAB kidney transplant also boasts an incompatible transplant program and recently performed the Deep South’s first HIV-positive to HIV-positive kidney transplant. The program, along with the Pediatric Renal Transplantation program at Children’s of Alabama, is the only one in the Southeast to offer kidney paired donation to those younger than 18, as highlighted by 2-year-old Wryn Graydon’s transplant this past July, a living donation gift made by her 62-year-old grandmother, Carol Graydon. The program also is the home of the UAB Kidney Chain, which began with a single, altruistic donor three years ago to grow into what is the longest chain of kidney transplants ever performed. The chain, which has been featured on ABC News’ “Nightline,” is currently at 82 transplant recipients with more scheduled for later this month and into 2018. Hanaway, UAB’s surgical director of kidney transplantation who was part of transplant 10,001, says from the university’s first transplant in 1968 through implementation of ABO- and HLA-incompatible kidney transplantation — landmark advances realized in 2013 — UAB has developed a rich kidney transplant tradition, giving hope to thousands in need. Cox, a Miami native, spent 35 years and eight months in the U.S. Army as combat engineer and then head mechanic before he had to be medically discharged due to his kidney failure. Kidney transplant surgeons Mark Deierhoi and Michael Hanaway were part of the team that completed the 10,001st kidney transplant at UAB on Nov. 29.The lifeline came from a deceased donor, who provided the liver and kidney Cox needed. The organs were transplanted by Jared White, M.D., assistant professor of surgery. Cox says it has been somewhat tough for him to reconcile that it took someone to die so that he could have a chance to live. For Tony Adams, he says the process of experiencing organ failure, dialysis and relying on a living donor has been humbling in many ways. Tony says he’s grateful for his family and friends for the help they have provided him through his almost 20-year battle with nephrotic syndrome, the disorder that led to the failure of his kidneys. And his already tight bond with his brother, Daniel, is forever strengthened by his life-giving gift. Those interested in exploring the possibility of being a living organ donor can fill out UAB’s online Living Kidney Donor Screening Form. To become an organ donor upon death, register now at www.alabamaorgancenter.org.